Scientists are puzzled by unexpected acceleration in several unmanned spacecraft as they flew toward the Sun. In a previous Thunderbolts Picture of the Day article about the so-called “Pioneer anomaly”, we noted that NASA scientists have determined that both Pioneer 10 and 11 are off course by more than a hundred thousand kilometers. Mission specialists admitted that they had no explanation for the navigational deviation so many speculations were announced to the press about what “mysterious” forces could be acting on the tiny probes. 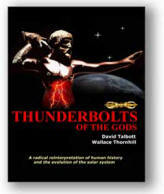 As long ago as September 1998, however, the same enigmatic forces were also reported to be acting on the Ulysses spacecraft that is currently in a high orbit through the Solar System. 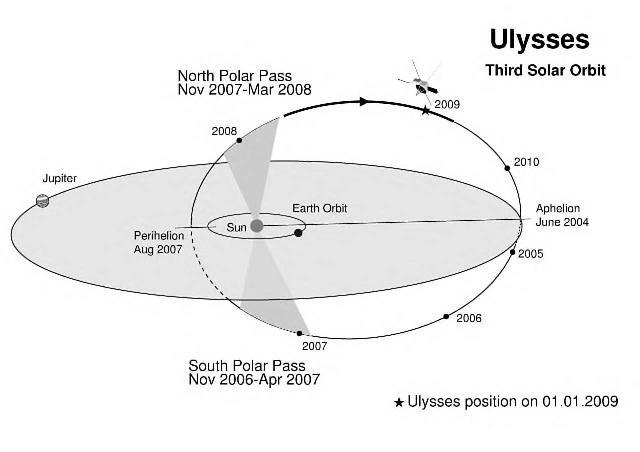 In that case Ulysses demonstrated a sunward acceleration when radio signals from Earth bounced off a transponder onboard the solar observatory and indicated a Doppler shift in the frequency of the return transmission. The induced frequency shift was greater than could be affected by any known mechanism and no one in the conventional science community can yet account for it. More space probes are now being added to the mix. After examining telemetry from NEAR-Shoemaker (now resting on the surface of Asteroid Eros), the Galileo mission to Jupiter, Cassini-Huygens (one part each orbiting Saturn and the other resting on the surface of Titan), the Rosetta cometary probe and the MESSENGER mission to Mercury, a similar discrepancy has been detected. "I am feeling both humble and perplexed by this. There is something very strange going on with spacecraft motions. We have no convincing explanation for either the Pioneer anomaly or the flyby anomaly.... We should continue to monitor spacecraft during Earth flybys. We should look carefully at newly recovered Pioneer data for more evidence of the Pioneer anomaly. We should think about launching a dedicated mission on an escape trajectory from the solar system, just to look for anomalies in its motion." Astronomers are baffled by this situation because the standard theories of motion in the cosmos rest within a gravitational model. In fact, gravitational theory is considered by cosmologists to be the most useful way of explaining the way that the universe behaves, as well as being one of its greatest mysteries. This is yet another in a long line of speculative ideas that must be concocted when no thought is given to the positive charge that resides in the Sun. The Sun’s positive charge sets up a steady electric field in the plasma of interplanetary space that attracts negatively charged objects back towards it. In another Thunderbolts Picture of the Day, we discussed “backstreaming electrons” as evidence for the Sun’s electric field. When spacecraft are launched into Earth orbit, or out to explore the other planets, they gather a negative charge as fast-moving electrons build up on the surface. Typically the shell of a satellite can gain hundreds or thousands of volts relative to its plasma environment. As Wal Thornhill discussed in "A Mystery Solved," in the weak but steady electric field of the Sun negatively charged spacecraft will experience a small “anomalous” acceleration toward the Sun. Scientists seem much too eager to invoke "new physics" when the first requirement is to choose the right model. Then the "old" physics will do. Perhaps today "new physics" has too much appeal in the frantic scramble for a Nobel Prize.